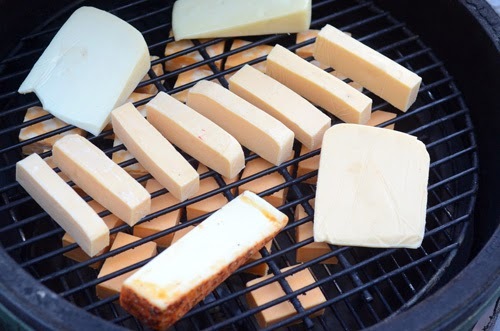 One of the positive things about cold winter days is that they are ideal for cold smoking cheeses. A few weeks ago we hickory smoked a batch of cheddar, colby jack, Gouda, Edam, and fontina cheeses for about 90 minutes. They have now "aged" vacuum sealed for two weeks, the smoke flavor has balanced out, and they are ready to eat. 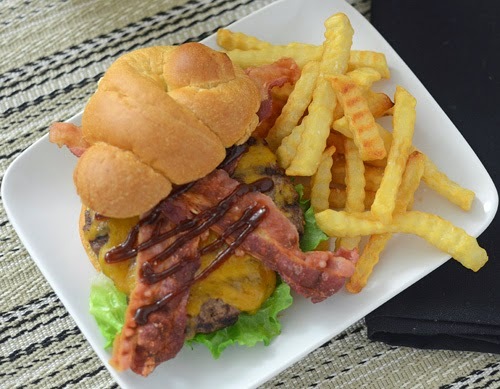 What better way to give the smoked cheddar a test spin than on these Smoked Cheddar and Bacon Burgers. Lightly work the burger seasoning into the ground round. Divide into 4 equal portions and make into burger patties. 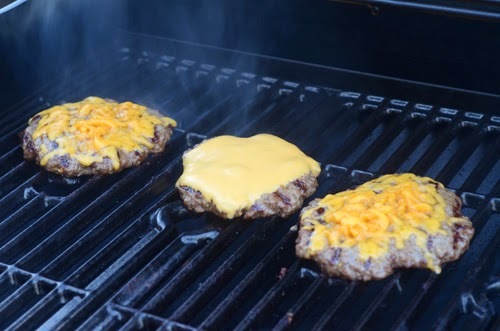 Grill burgers for 4 minutes and then flip. Cook 2 more minutes and then top each patty with some of the smoked cheddar. Cook for 2 more minutes with the lid closed. Serve on buns with bacon and BBQ sauce. 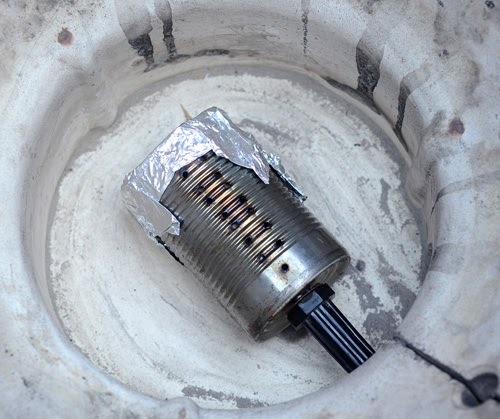 To cold smoke the cheese, I used my MacGyvered cold smoke generator....a soldering iron and a can. One can of chips was still producing plenty of smoke after 2 hours. I've posted about how to make your own before. Wow. I just realized this soldering iron and can smoker is going on 5 years old. They last! This was 5-6 lbs if memory serves and I could probably squeeze another 2 lbs in. Alexis vacuum sealed and aged them for two weeks. It's not really aging as much as it is letting the smoke mellow. You don't want to skip that step, the cheese doesn't taste great immediately after smoking but magically two weeks later it tastes fantastic. I have been using the Eggs a ton for my project (sometimes 4-5 recipes in a day) so it was nice to just kick on the Char-Broil tonight for my night off. I'm still putting this grill through some trials and will have a full review before long. 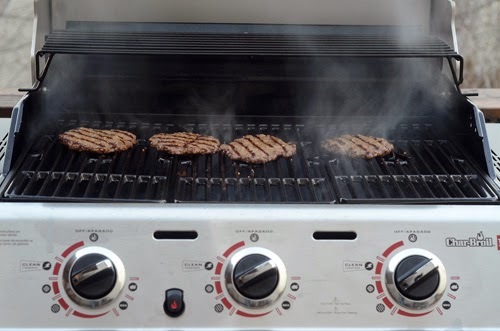 It is so weird not seeing the flames lapping up at the burgers but so far I have been impressed by the TRU Infrared cooking set up. The kid wanted American "cheese" on his, what's a dad to do? We had kaiser buns but we also had these large knot rolls on hand. They really worked out well as a hamburger bun since they were a little smaller. I hate filling up on bread when eating a burger. Many BBQ folk despise BBQ sauces that contain liquid smoke. Sometimes I don't mind them in the right situation. 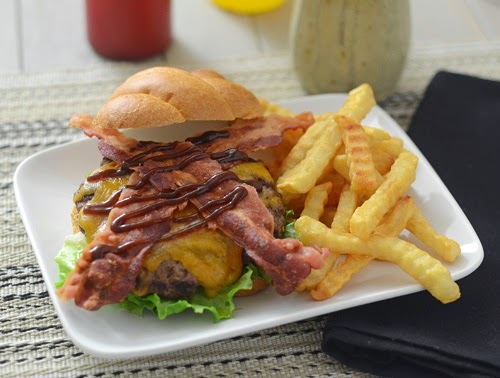 This burger is one of those times, the smoky sweet flavor just goes great with the bacon and smoked cheddar. [Standard Disclaimer] I received no compensation for this post. I do have business relationships with McCormick and Char-Broil. 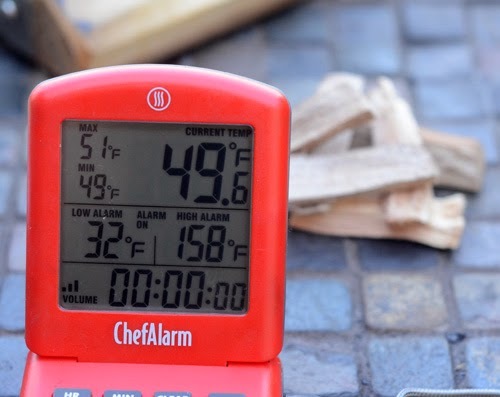 I occasionally get free products from Thermoworks for testing and review (not an affiliate seller). But none of this post is sponsored.